Ho’oponopono is an ancient Hawaiian healing practice of forgiveness that restores families and communities to Aloha—a state of harmony, peace, and love. What was The Goddess Forgives? What is The Goddess Forgives US ALL? The Goddess Forgives Us All is the 3rd intensive in an ongoing series. A critical awareness in Ho‘oponopono is that we must take 100% responsibility for all our relationships—with people, with ourselves, with our purpose, our communities, and our mother earth. In The Goddess Forgives Me, we took full responsibility for self-forgiveness. In The Goddess Forgives Us All we gather in community to take full responsibility to heal all relationships through time. What is so beautiful about The Goddess Forgives Us All is that we have come full circle back to the original ancient shamanic purpose of Ho‘oponopono. The numeric vibration of 11/2 in 2018 calls for the feminine and masculine to walk in harmony. The only way to do that is to untie all the knots of disharmony and unwanted memories accumulated over five thousand years as patriarchy systematically silenced the voice of the Divine Feminine. Whether we realize it or not, we are constricted by lifetimes of being silenced, silencing ourselves, and participating in silencing others. You will experience emotional, mental, spiritual, and even physical release as you practice Ho’oponopono. As your experience expands and deepens in the heart of the Divine Feminine, you will experience a full-bodied, multi-generational sensation of freedom and unconditional love. 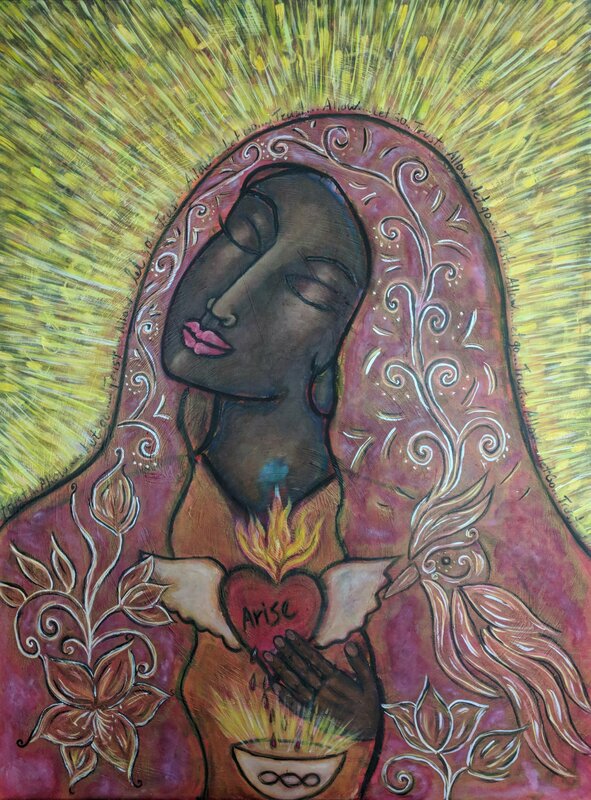 Ho’oponopono Goddess Images: In 2012, Susan Kosharek began truly seeking the Divine Feminine through prayer, paint, prose and poetry. Thus began a wild, healing, expanding journey/quest taking her in countless new directions. One of those directions was to Janet Conner’s world. It was there that the blessing of Ho’oponopono was received and the original Ho’oponopono Goddess image was birthed. The Black Madonna is our image for this third Ho’oponopono Prayer Intensive. The TIME ZONE CONVERTER HERE will show your local time.